WHY ARE INTRAVITREAL INJECTIONS NECESSARY? Intravitreal injections (IVI) are injections of special medications into the vitreous cavity (back portion) of the eye ball. They are performed for patients with fluid at the macula (macular edema) caused by leaky retinal blood vessels. 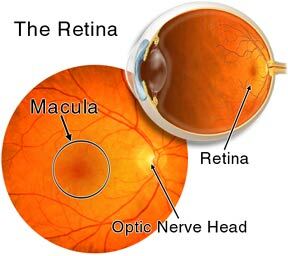 The retina is the innermost lining of the eye. The function of the retina is to detect and process light entering the eye so that you can see. 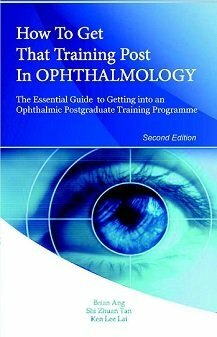 The macula is the central part of the retina, and is responsible for fine detailed vision. Any damage to the macula, including macular edema, will cause blurring and distortion. Without treatment, your vision will deteriorate, and the vision loss may be severe and permanent. Macular degeneration, diabetic retinopathy, and retinal vein occlusion can cause the blood vessels of the retina to become leaky. 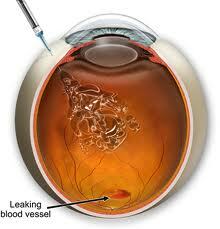 The medications delivered via intravitreal injections help to stop the blood vessels from leaking fluid at the macula. WHAT DO INTRAVITREAL INJECTIONS DO? Anti-VEGF (anti-Vascular Endothelial Growth Factor) medications work by interfering with the biochemical processes that causes the retinal blood vessels to leak. There are 3 main anti-VEGF drugs: Eylea (aflibercept), Lucentis (ranibizumab), and Avastin (bevacizumab). Anti-VEGF medications are the most effective way of treating macular edema from macular degeneration, diabetic retinopathy and retinal vein occlusions. The aim of treatment is to reduce the amount of fluid at the macula and to prevent your vision from getting worse. Improvement may occur in 30% to 40%. However this is not a cure, and the injections need to be repeated to keep your macula and vision stable. For some, the injections may be required every 4 to 6 weekly. ● High pressure in the eye. This can be treated with eye drops for pressure. settles gradually over a few weeks. injection. This is treated by releasing pressure rapidly from the eyeball. Intravitreal injections are office-based procedures, and do not require sedation or admission to the hospital. If you require treatment to both eyes, the injections to both eyes will not occur on the same day unless there is a very special reason to do so. On the day of your procedure, please take all your usual medications unless otherwise advised. You will not be able to drive home on the day of the procedure, so you will need to arrange for someone to take you home. Please allow at least 2 hours. ● Eye drops to dilate the pupil. This can take up to 30 minutes to work. further numb the area of the eye that will be injected. The injection is performed with a very small needle. To reduce the risk of infection, povidone iodine antiseptic is used to clean your eye and eyelashes, a sterile drape will cover your face, and a sterile clip will keep your eyelids open. The injection only takes a minute or two. It shouldn't be painful although you may feel a slight sting or scratch. No special eye drops are required after the injection. Your vision will be blurred for a few hours due to the eye drops and injection. After the anesthetic wears off, your eye may feel a bit sore. Over the next few days, you may experience some blurriness, irritation, blood around the eye, floaters or bubbles, and increased watering. These will gradually improve without any treatment. You will usually be reviewed 4 to 6 weeks after the injection. Please contact the clinic immediately if you experience pain or a sharp drop in vision.